Did you ever play Rocks ‘n’ Diamonds? 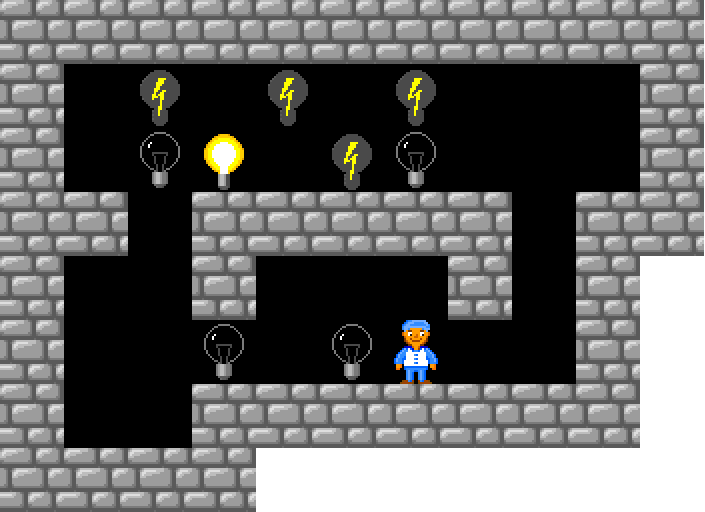 Rocks ‘n’ Diamonds are mostly a platform game combining elements from several different games: Boulder Dash, Emerald Mine, Supaplex and … surprise … Sokoban. First release for DOS and Windows in 1998. Released for other platforms later. 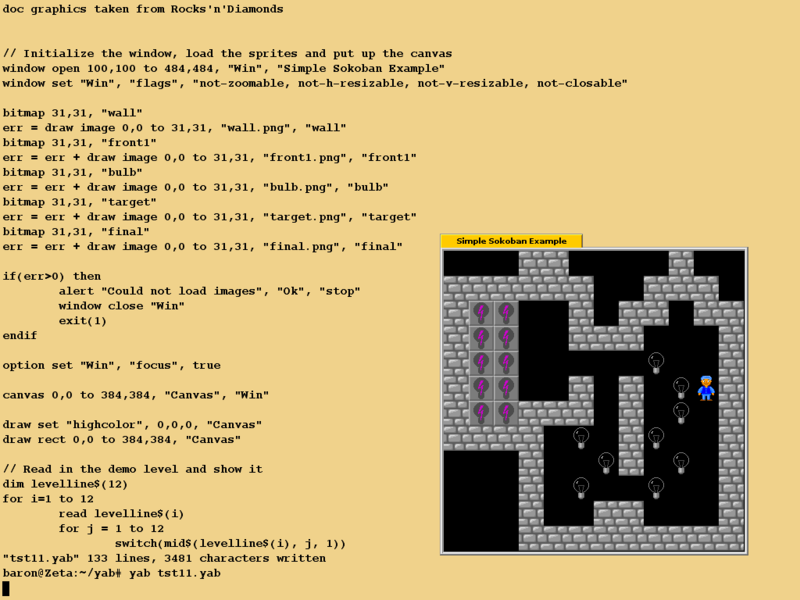 Rocks ‘n’ Diamonds are still alive and in development. You can read about it, download the software, levelsets and graphics from Artsoft Entertainment. Same company that released the original game 18 years ago. 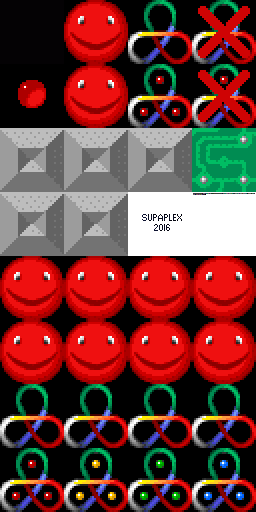 Supaplex are still alive, too. Find no activity but all the good stuff at The Supaplex Homepage. Supaplex was relaunced 2012 for iPhone and iPad. You can check out Emerald Mine at Emerald Web and get lots of stuff. Not much news about Boulderdash. Check out Boulderdash on Wikipedia. Links to some nice working sites, but no updates for several years. 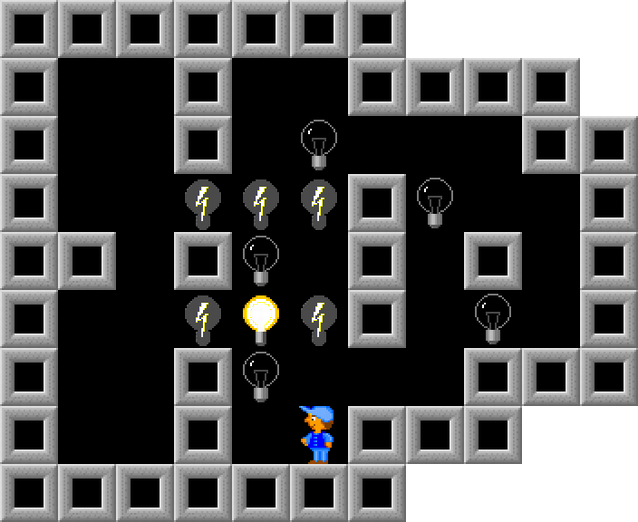 You can play several hundred Sokoban levels with Rocks ‘n’ Diamonds. 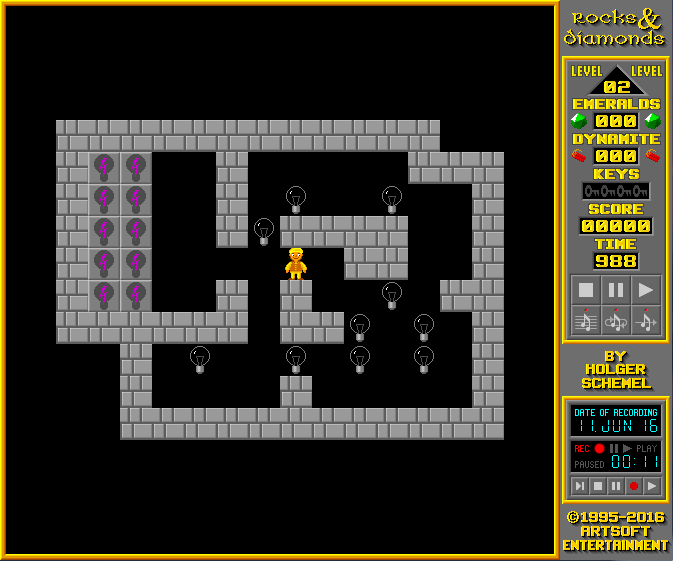 Not surprising you will find no new levels but the original levels and a lot of David Skinners levels. You will also find at least two collections, Sokomania Spaceship 1 and Sokomania Spaceship 2, containing Sokoban levels and levels combining Sokoban elements with other playing elements. To download just rightclick and choose “Save graphic as”. I think I played Rocks ‘n’ Diamonds years ago but had forgotten all about the game. Nice looking skin I never saw before. Well, the nicest part was those bulbs. Really wanted to turn them on. With some help from Anain it came to the light the graphics are from Rocks ‘n’ Diamonds. So I started making my own skin looking like the skin from Erim Severs pages. Actually the original skin followed later. Picked a blue and a yellow Sokoban. Sorry, the name is Rockford in Rocks ‘n’ Diamonds. And you get green and red ones too. Started with an exact remake of the skin. Tried the yellow Rockford. To yellow. Decided to stay with the blue one. Now the goal area became a little anonymous and not very easy to recognise. Decided to have a look at the skin Supaplex too. The skin is constructed with graphics from Rocks ‘n’ Diamonds but have been resized, probably from the 32*32 graphic elements to 25*25. The result is a blurred unsharp appearance. Used the original graphics, made a little this and that. I will spare you the details and just show the result. You might not notice big differences, but I think you will find the new version easier to play. Click the graphics to enlarge. The old skin has a nice animation “waveing” the elements I did not implement. Might do that some day.